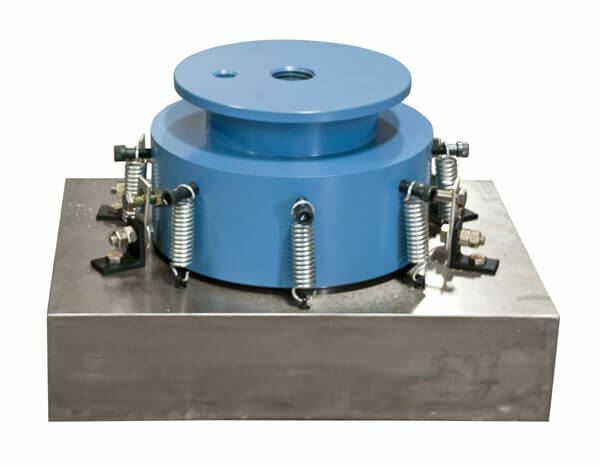 Masonry Test Set Concrete Compression Machines - Gilson Co.
Masonry Test Sets for use with 250, 300 and 400/500 series Concrete Compression Machines in testing compressive strength of 8 or 12in (203 or 305mm) concrete masonry unit (CMU) blocks. The set is equipped with a large diameter spherical disc and seat assemblies which secure the block with heavy-duty springs that allow it to rotate freely and seat under load. Its platen bearing surface is plane to .001in (.025mm) in any 6in (152mm) direction. The 250 and 300 series compression machines can test blocks up to 8in wide, while the 400 and 500 series testing machines can accommodate blocks up to 12in width. Test Sets for testing units up to 8in also include a bottom bearing block. MCA-12R Masonry Test Set is used with 250 series Compression Machines and MCA-32 is for use with 300 series Compression Machines; these two models do not meet ASTM standards. The MCA-13R set used with the 400 and 500 series Concrete Compression Machines does meet specifications within ASTM C1314 and ASTM C140.